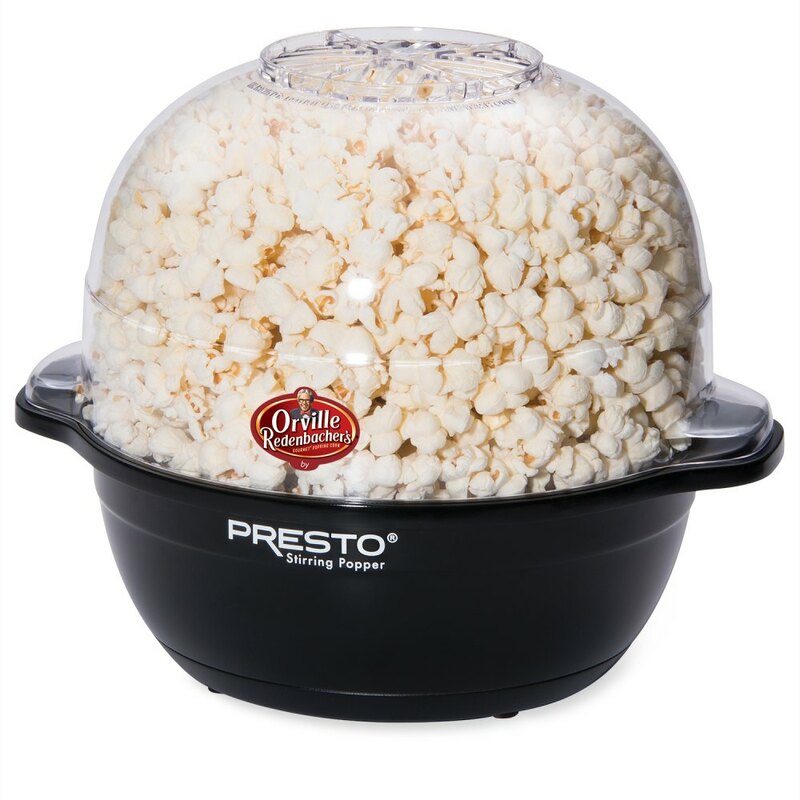 Motorized arm stirs the popcorn as it pops for virtually no unpopped kernels. The easy way to pop great-tasting popcorn! Big 6-quart capacity makes enough for the entire family. Pops smaller batches too. Unique scalloped stirring arm assures even distribution of kernels for superb popping performance.